The days of people only using a single device to get online are in the past. These days almost everyone has a smartphone and a computer at home. Many also have tablets and other connected devices, not to mention family members with their devices too. It therefore follows that, if you are going to sign up for a VPN to protect your online security and privacy, you want to ensure all of your devices will be covered. VPN providers are aware of this and almost all now offer multiple concurrent connections with every subscription. But some offer more concurrent connections than others. We know that you want to be able to connect multiple devices to your VPN. But we also know that you don’t want to compromise other aspects of your VPN service. In this guide, we have identified the Best VPNs which allow you to connect multiple devices simultaneously while still offering an excellent all-round service. What does ‘multiple devices’ mean? 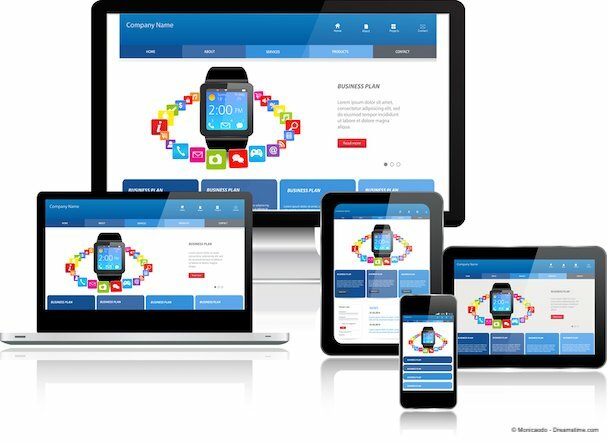 Why are multiple devices beneficial? There are so many VPNs out there that choosing the right one can feel like a daunting task. If you are looking for one which can protect all of your devices, you might think the one that offers the most concurrent connections will automatically be the best. Multiple concurrent connections – you should, of course, ensure that the VPN you choose offers enough simultaneous connections to use on all of your devices and those of your family if needs be. Range of apps – If you are going to protect all of your devices, you want to opt for a VPN which offers apps for as many different devices as possible. Strong encryption – There is no point using a VPN if it doesn’t offer strong encryption to keep your online data secure. Robust privacy policies and a no logs guarantee – If you want to ensure your online privacy, make sure that your VPN has a dependable no user logs guarantee and good privacy policies. Fast connection speeds – It is essential to choose a VPN which has minimal impact on your connection speeds, especially if using it on mobile devices. After hours of research, we discovered the following five services offer the most simultaneous connections. You can use these services on the most devices at the same time. Below we’ve rounded up some of the top features of each service. You can click on individual names above to go straight to that service’s round-up. StrongVPN has recently raised the bar when it comes to multiple concurrent connections. They now offer a huge twelve simultaneous connections with every account, which is more than enough for you to secure all of your own devices and those of your family too. They have plenty more going for them as well. StrongVPN has a big selection of excellent user-friendly apps for all devices. Their encryption is up there with all the other main VPN providers on the market and they have a no user logs policy which can be trusted. StrongVPN can unblock US Netflix and other streaming services and while they are not the cheapest, they do offer a 30-day money-back guarantee. Their connection speeds are not fantastic but will be sufficient for most users and while their server network is not the biggest either, they do cover all of the most popular locations. The only VPN which comes close to challenging StrongVPN for the number of concurrent connections is IPVanish. They offer ten simultaneous connections to every user. Ten concurrent connections will be more than enough for most people and frankly, if that is the case for you, IPVanish’s all-round service is probably superior to StrongVPN. They have been on our top 3 overall VPN list for some time now thanks to their strong encryption, fast connection speeds, and vast server network. IPVanish also offers a wide selection of apps which means you can use their service on almost any device you can think of. They have been embroiled in a bit of controversy over their no user logs claims in the past year. However, they insist their no logs guarantee is cast-iron and we are willing to give them the benefit of the doubt for now. Their subscription prices are mid-range and do offer decent value for money. CyberGhost VPN offers the next highest number of concurrent connections with seven available for every user. You can connect more devices if you so wish but will have to deregister one device before you register another, which is a little annoying. CyberGhost offers a terrific all-round service especially if you are new to VPNs. They have a massive range of apps which are beautifully designed and easy to use. For beginners, there is also a single click function to help you choose the best server for what you are doing online. They also offer a strong no user logs policy, good privacy protections, and strong encryption. What is more, CyberGhost VPN also proudly declares that it can unblock almost any streaming service including US Netflix. Their connection speeds could be a little faster but they are pretty reasonably priced, especially if you sign up for two or three years. 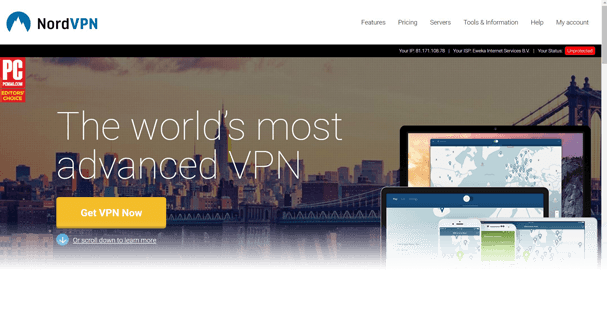 NordVPN is quite simply one of the very best VPNs on the market right now. The only reason they are not higher up this list is that they only offer six concurrent connections with every subscription. Six simultaneous connections is still average amongst most VPNs and if it is enough for you then NordVPN is definitely worth some serious consideration. Their encryption is strong plus they offer many other security features too. Their privacy provisions are among the very best around including a guaranteed no-user logs promise. NordVPN has a large selection of servers, can unblock just about any website or streaming service, and recent investment means they also offer some of the fastest connection speeds around too. It is a compelling all-round offer and one which comes at some of the most competitive prices you will find anywhere. They may have fewer concurrent connections than others on this list, but they do offer the best all-round service. Like NordVPN, VPN.ac offers six concurrent connections to every user. And if it is speed and strong encryption you are after then they might be the provider for you. Our recent review found that VPN.ac’s speeds were among the fastest we have seen this year. They also offer one of the highest levels of encryption of any VPN provider and have raised the bar for online security in a VPN. VPN.ac offer a wide range of apps and boast that their service can unblock both US Netflix and the BBC iPlayer. Their server network isn’t quite as big as some of their more established rivals and they do unfortunately keep some minor connection logs, which is not ideal. But for speed and security as well as simultaneous connections, VPN.ac are among the very best. When we talk about a VPN that supports multiple devices, we are referring to a VPN which lets you connect several different gadgets to their service at the same time. For example, you may own an Android Smartphone, a Windows laptop, a Samsung Smart TV and an Apple iPad. The chances are you go online with all of these devices and you should, therefore, be using a VPN with all of them to protect your online privacy and security. Some people have more devices than this, while others like to use their VPN to protect the devices of family or friends too. A VPN which supports multiple devices enables you to do just that. We have used other phrases in this article such as ‘concurrent connections’ or ‘simultaneous connections’. These are referring to the same feature; the number of devices you can use a VPN’s service on at the same time. For most people, the advantage of being able to connect multiple devices to a VPN is that they can protect all of their devices. These days we all have several Internet-enabled devices and it’s imperative they be protected by a VPN. Being able to connect multiple devices to a single VPN account saves money and means you can enjoy a complete service from your provider. But there are other benefits too. If you want to make sure your partner or children’s devices are secure and their online privacy protected, multiple concurrent connections let you do so. It also has the additional benefit of letting poorer customers in developing countries share an account. This makes a premium VPN service affordable to all and doesn’t leave those in emerging countries forced to rely on insecure ‘free’ VPNs alone. There are many reasons why VPN users around the world should look out for a provider which allows them to connect multiple devices. Whether you want to connect all of your own devices, those of your family, or make a premium VPN affordable, more concurrent connections means a better service for you. In this article, we have highlighted the VPNs which offer the most simultaneous connections with a single account. We have also given an insight into the all-round service they provide to enable you to make an informed choice of the right VPN for you. StrongVPN offers the most concurrent connections right now with twelve available to each user. But read through our recommendations carefully, because, for your requirements, you might find another on our list is the right one for you.